In situation when drive doesn’t rotate some of our users believe that it’s definetely a problem with heads. But to make a right conclusion you need to firstly check SATA status register. There is a feature called a Power-up in standby (PUIS). It prevents the drive from automatic spinup when power is applied. PUIS feature made for prevent the excessive power-consumption. As you may know, spin up is the highest power draw of all of the different operating states of a hard disk drive. In systems with a lot of HDD installed automatic spinup may result in a power shortage. That’s why engineers created Staggered Spin-up (SSU) procedure, based on PUIS feature. This procedure typically starts one drive at a time, either waiting for the drive to signal it is ready or allowing a predefined period of time to pass before starting the next drive. So PUIS feature and SSU procedure allow to use more cost-effective power supplies in multi-drives systems. You can check more details about PUIS and SSU in the SATA Specifications Standards. 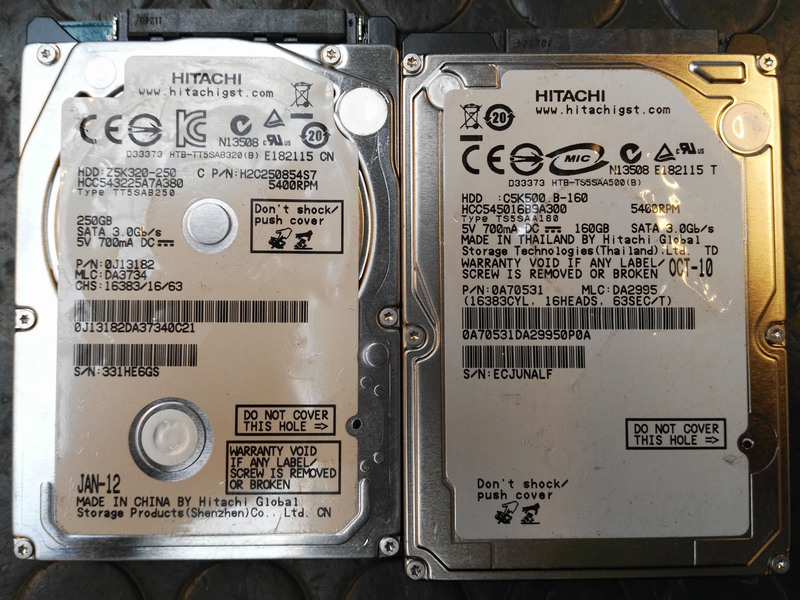 Examples of drive models with PUIS feature: Hitachi HCC543225A7A380, Hitachi HCC543216L9SA00, ST3320311CS with ES13 FW etc. If you see that drive is going ready very fast (about 1 second) and it’s not a SSHD – most probably you faced with staggered spin-up drive. Some users also may be confused that when you plug such drive to motherboard – it rotates, but when plug to PC-3000 it doesn’t rotate. If you will get ABR in result – it means that drive doesn’t support PUIS feature.